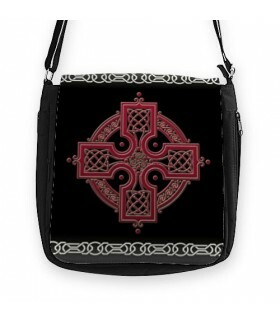 Celtic handbags There are 14 products. 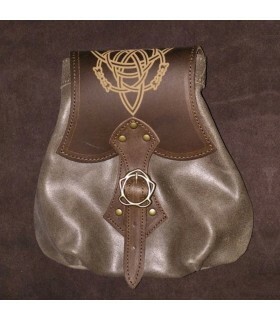 Handmade Celtic bag made of brown leather with a lid engraved with a trisquel. Average capacity of 20 x 20 Centimeters. Practical and beautiful as a complement to medieval costumes. Suitable to be placed on any type of belt. Article made by hand and in real leather of the best quality. 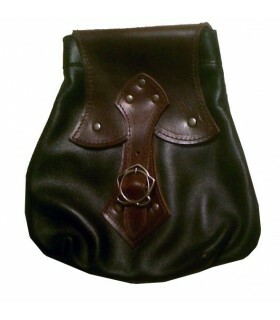 Handmade bag made of black nappa with trisquel, average capacity of 20 x 20 centimeters, very practical and nice to supplement medieval costume or just to wear something out of the ordinary, and can be placed in any kind of belt. 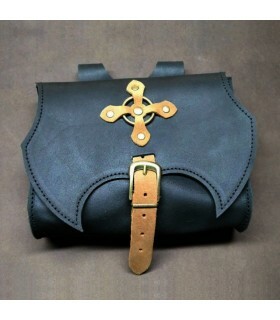 Handmade bag made of black nappa leather belt with cover and different skin, average capacity of 20 x 20 centimeters, very practical and nice to supplement medieval costume or just to wear something out of the ordinary, and can be placed in any type of belt. 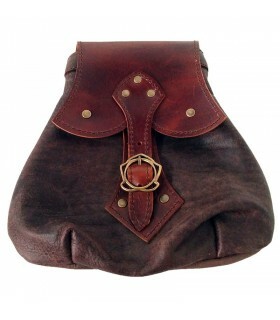 Handmade bag made of brown suede belt with different cover and skinned with trisquel, average capacity of 20 x 20 centimeters, very practical and nice to supplement medieval costume or just to wear something out of the ordinary, being positionable in any kind of belt. 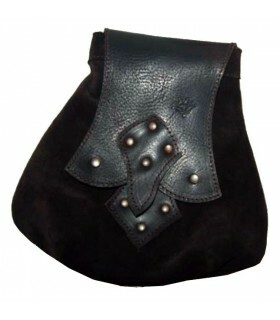 Handmade bag made of black suede, the average capacity of 20 x 20 centimeters, very practical and nice to supplement medieval costume or just to wear something out of the ordinary, and can be placed in any kind of belt. Handmade bag made of black suede belt with cover and different skin, average capacity of 20 x 20 centimeters, very practical and nice to supplement medieval costume or just to wear something out of the ordinary, and can be placed in any type of belt. 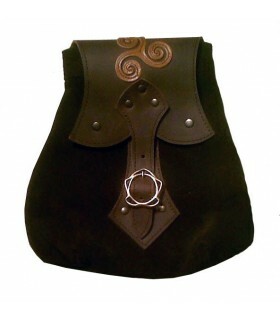 Bag hanging any belt made of leather and metal ornaments. Measures 22 Cnt. wide x 17 Cnt. high. 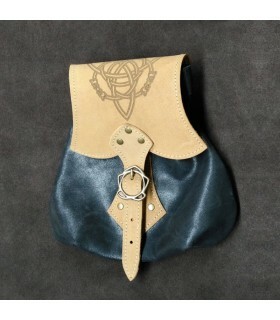 Bag handmade made in suede with cap and belt of a different skin and closure with magnet, average capacity of 20 x 20 Centimeters, very practical and nice complement to medieval costumes or just to wear something out of the everyday, can be positioned in any type of belt. 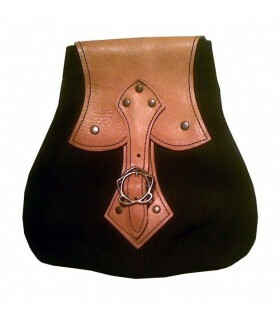 Handmade Celtic bag made in black leather with a lid engraved with a trisquel. Average capacity of 20 x 20 Centimeters. Practical and beautiful as a complement to medieval costumes. Suitable to be placed on any type of belt. Article made by hand and in real leather of the best quality. 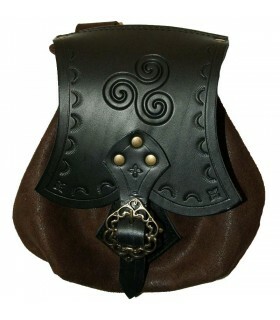 Handmade Celtic bag made in black-natural leather with a lid engraved with a trisquel. Average capacity of 20 x 20 Centimeters. 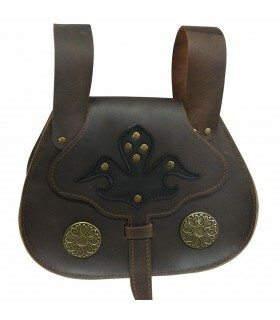 Practical and beautiful as a complement to medieval costumes. Suitable to be placed on any type of belt. Article made by hand and in real leather of the best quality.